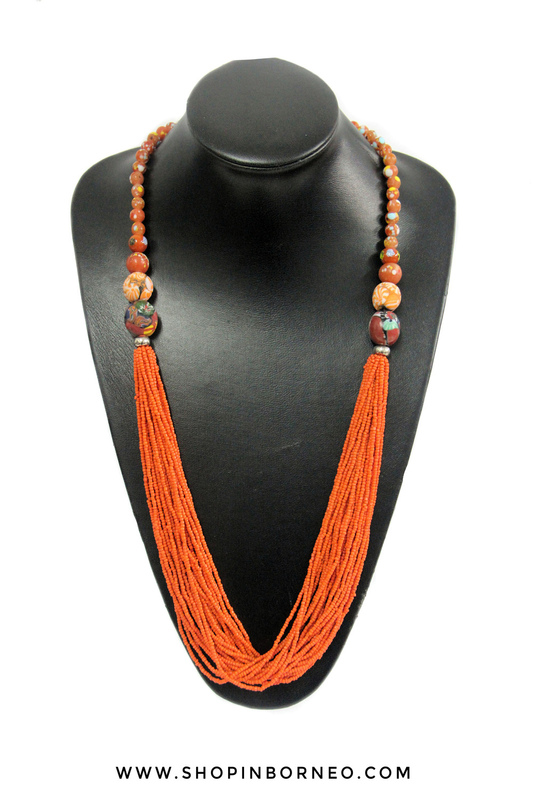 Rare colour tribal necklace in orange ! Unique beads necklace. A hand-crafted beads by the women community at Long Tuma, Lawas, Sarawak.